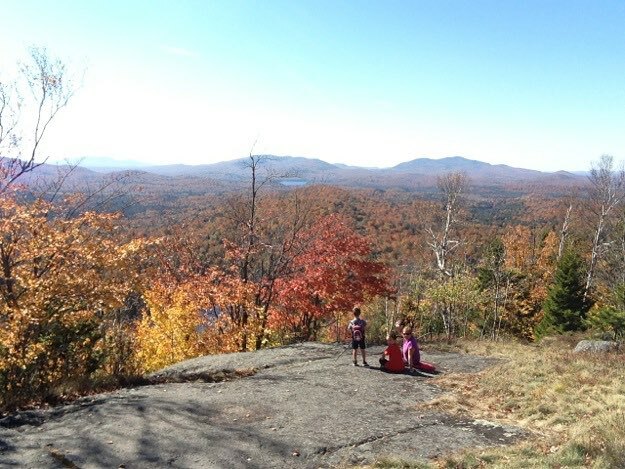 While on the way home from Lake Placid in 2015, we decided on a whim to hike Panther Mountain, (not to be confused with Panther Peak, a 46er in the Santanoni Range). 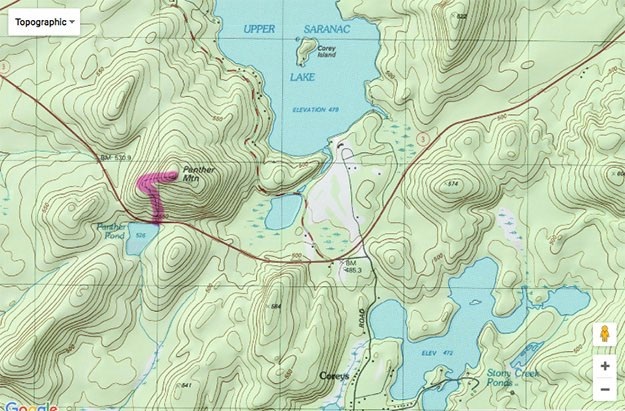 It’s a short hike between Saranac Lake and Tupper Lake. 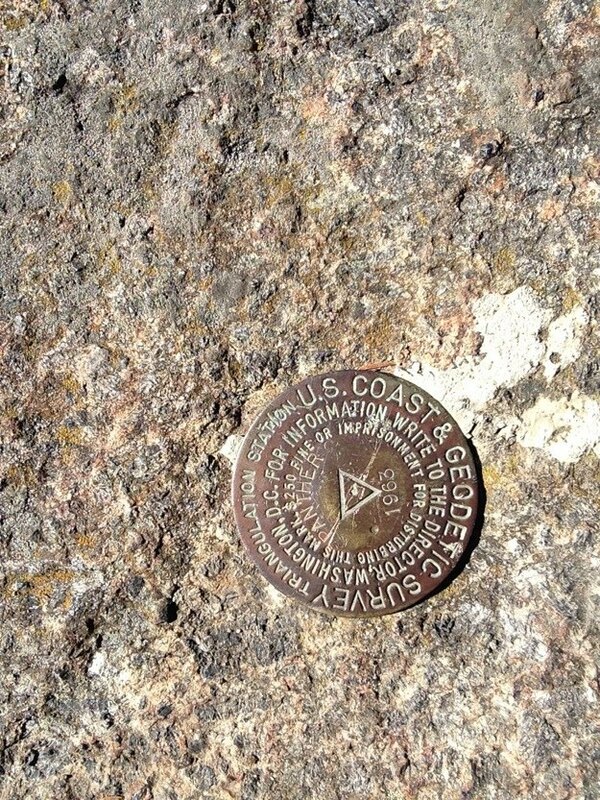 It is about 0.6 miles up to the 2,236-foot high summit, with an elevation gain of 780 feet. 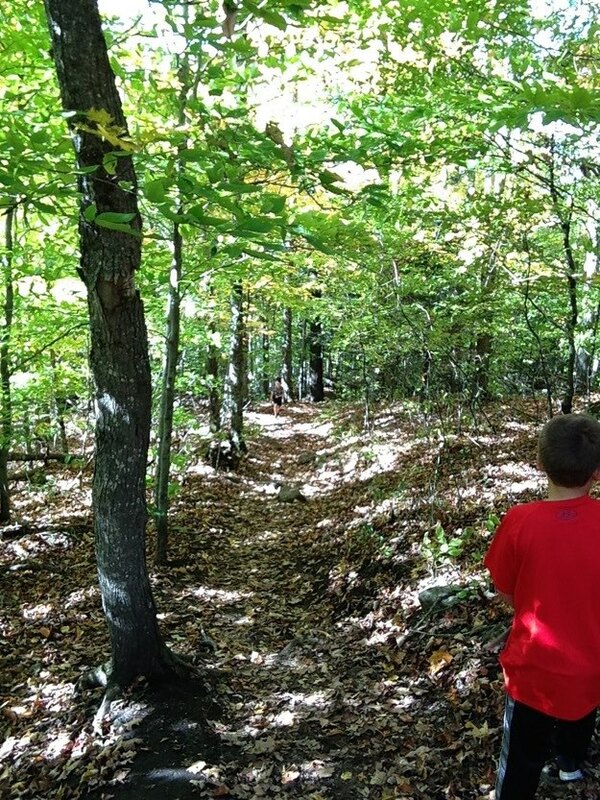 The trail leads through thick old-growth forest, up steadily to a partially-exposed summit. From the summit, you can see to the south and the Seward Range, and Panther Pond. 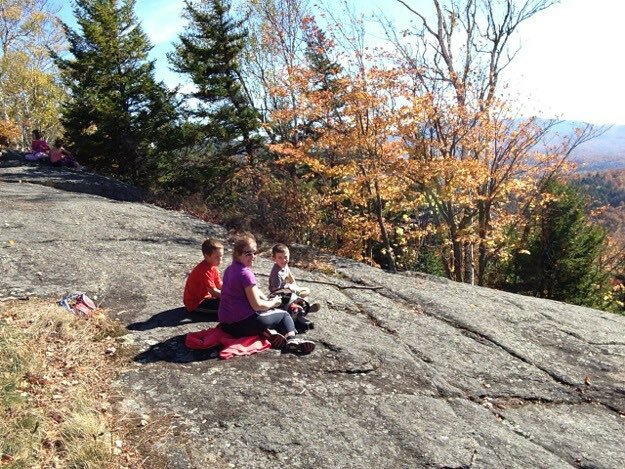 It’s a great family and dog-friendly hike, and won’t take too long to do. 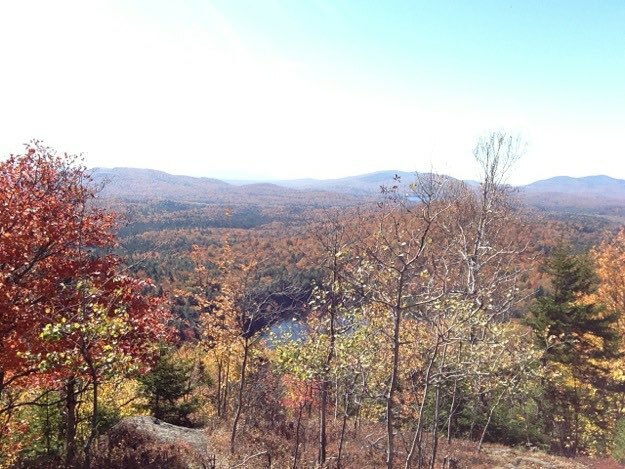 The summit has a nice wide-open are of bare rock, to soak up the sun, and enjoy the view out to the south and west. The official DEC summit marker. 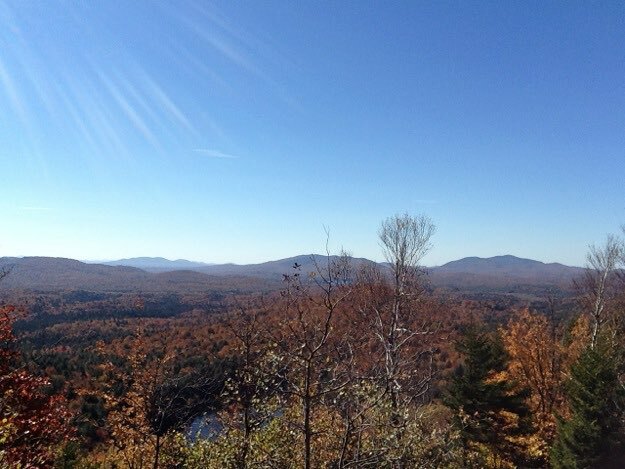 The view towards the distant high peaks region. Enjoying a snack and the warm sunshine on a nice fall day. The trail was pretty well-traveled, and easy to follow.